Although the United Kingdom is not a member of the Schengen Area, British citizens can travel across Europe visa-free for a maximum of 90 days. Also, from 9 June 2014, all British Overseas Territories citizens (BOTCs), British Overseas citizens (BOCs), British Protected Persons (BPPs), and British Subjects (BS) are allowed to travel visa free to the EU Schengen Area for a maximum of 90 days. Considering the outcome of the 2016 referendum, it has been reported by various news agencies that this could all change right after Brexit. This means that, in the future, Britons may have to apply for a visa just like non-EU citizens and non-residents. Who can apply for a Schengen visa in the UK? To apply for a Schengen visa from the UK, your UK residence permit must be valid for at least another three more months beyond the date you plan to leave the Schengen Area. If this condition is not fulfilled, the Consulate where you lodge your Schengen visa application will reject your application immediately. Nonresidents such as travelers and tourists currently on a visa in the UK, cannot file their visa application at the Schengen embassies in the United Kingdom. Instead, they should apply for a Schengen visa at the appropriate Schengen embassy in their home country. 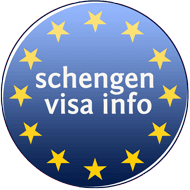 Use the Schengen visa eligibility checker tool to find out if you qualify to apply for a Schengen visa from the UK. If you have a 3 month UK visa you can extend it for three more months in order to be eligible to apply for a Schengen visa from within the UK. You must apply for an extension before your visa expires and while you’re still in the UK. Find out more on how to extend your UK visa. Please, note that if you are not a resident in the United Kingdom you should apply at the Embassy/Consulate in your country of residence. All Schengen states are represented in the UK by Consulates and Embassies and they might have specific requirements for applicants. However, there are common requirements for each country and visa type. Your passport should be valid for at least three (3) months after the date you exit the Schengen Area. Proof of travel arrangements: Round trip flight/travel reservations or other proof of intended transport and complete itinerary (if several Schengen States will be visited or if the trip covers several Schengen States and non-Schengen countries). Travel Insurance stating that you are covered in case of a medical emergency and repatriation in the Schengen Area (minimum coverage of € 30.000). A recent statement of UK current account or travelers checks showing funds of a minimum of £55 per person per day spent in the Schengen area. Photocopies of the original documents also to be submitted. Documents should not be more than one month old. Find more information about proofing financial sufficiency when applying for a Schengen visa. If the applicant is employed for less than 3 months, then a letter from their employer should clearly state when they started work. If the Marriage Certificate was issued outside the European Union, it must be stamped by the Foreign Office of the issuing country, or its Embassy in the United Kingdom. At which Schengen country’s embassy in the UK should I apply? Depending on your purpose and/or length of visit – there are specifications that further clarify at which Embassy or Consulate within the UK you should apply. The best time to apply for a Schengen visa in the UK is at least 15 days before the intended visit to Europe. If you can apply even earlier than that, it is even better – although not earlier than 3 months before the intended visit! Holders of multiple-entry visas may apply six months before the expiry date of the valid visa. They will fill in an Application Form for Schengen visas online to secure your appointment and send it to you together with a complete list of requested documents and the confirmation of your appointment. IAM (immigration and migration) is a specialist immigration, migration and global mobility focused law firm based in Canary Wharf, London, with a dedicated global presence. For more information, click here or start the visa application by filling the form online here! How long does it take to get a Schengen visa in the UK? Applications should be made final within 15 calendar days from the date you submitted the visa application in the corresponding Embassy/Consulate in the UK. This period may be extended up to 30 days, especially in cases when further requirements are made to the applicant. Note: Holders of multiple-entry visas may apply six months before the expiry date of the valid visa. The fees of a Schengen visa application in the United Kingdom may vary from 30 £ for children aged between 6 and 12 to 51 £ for adults (depending on currency fluctuations). Can Indian passport holder apply for a Schengen visa from UK? Indian citizens and Indian passport holders that have been legally residing in the United Kingdom for more than three months can apply for a Schengen visa in the UK. Non-residents such as Indian travelers and Indian tourists who plan on staying in the UK for three months or less should be discouraged from applying for a Schengen visa from within the UK. Instead, they should apply for a Schengen visa in India. Do I need a passport if I am traveling from the UK to Europe? For now, as a UK national, you don’t need a visa to enter another EU country. However, you are required to have a valid UK passport when traveling to another EU country. As a non-EU citizen you must have a passport and you might also need a Schengen visa to travel to the Europe from the UK. Passport must not be older than ten years. They must hold a validity period of at least three months since the day you will be leaving the Schengen zone. Children traveling alone, with a legal guardian, or with only one parent from the UK towards the EU, should additionally have a letter of authorization to travel. It has to be signed by either both parents, legal guardian, or the second parent. Britons will fall under the EU’s list of third countries, after Brexit finally takes place. Less than four months away from the date this happens, the European Commission has given its final confirmation that UK nationals will need to pay to enter the EU countries for short-stay visits.